Ready, set, shooters! 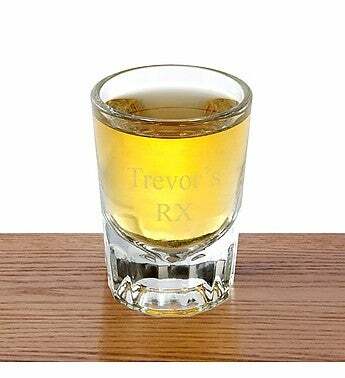 Engrave a name/initials and the name of his favorite drink on this attractive traditional shot glass. Purchase one, two, or a whole set for each of your groomsmen.